Which changes will produce the best Conversion results when optimizing a Call-to-Action? Can distinct approaches be combined to increase both sales and leads? Previous test results have shown that a single change is typically a trade-off: It may have a negative impact on direct, immediate Conversion but if combined with an effective basket-recovery effort it will increase overall Conversion. Call-to-Action increased direct, step-level Conversion by 150% and Lead Generation by 2,379%. Editor’s Note: Further analysis conducted after the Nov. 7th clinic on Landing Page Optimization found that the number and percentage of emails captured by the Treatment path during the test with our partner was 18,460 and 2,379% instead of 43,352 and 5,722%. This brief contains those corrected figures though the audio recording of our clinic does not. We conducted this test for a reference book publisher with whom we have had a long-term, successful partnership. The company has a solid Value Proposition. Its research articles are written by respected, trusted experts in many different fields. It offers a free trial of its product. Our previous efforts had twice resulted in quite significant conversion increases, but we had yet to hit a “home run” in terms of an effective basket-recovery campaign. Previous test results have shown that adding email capture can have a negative impact on direct, immediate Conversion by increasing Friction and Anxiety but ultimately increase overall Conversion when the lead is used in an effective basket-recovery campaign. We used that as the basis for our test design: Capture leads for a basket-recovery campaign that will increase the effective Conversion rate to the free-trial offer. Add an email capture field to the current Call-to-Action. Give visitors a reason to enter their email address. Follow up with a friendly email to those visitors who start but do not finish the sign-up process. Which article page will produce higher Lead Generation and free trial Conversion rates? Will adding email capture on the “teaser” article page decrease its Click-Through Rate? 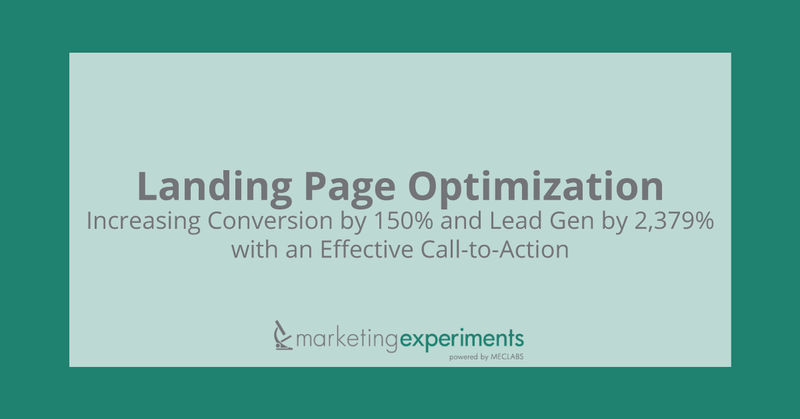 What you need to understand: The Control Page outperformed the Treatment Page by 54%. The green button design had worked very well for us in previous tests and had produced a significant gain, but adding email capture decreased the Click-through Rate to the offer page, as anticipated. The “login instructions” copy on the Treatment page may have also increased anxiety by making it sound difficult to access the rest of the article. We will consider those factors as we design further tests, but based on previous tests, our analysts were not surprised by these results. Which article path, the Control or the Treatment, would produce higher Lead Generation results? Even though the Control article page did not have an email capture field on it, if visitors clicked through to the next page — the offer page — they were asked for their email address, name, and credit card information. The Treatment article page had an email capture field added to the Call-to-Action. The email address was automatically loaded on the offer page if the visitor had already entered it on the article teaser page before clicking through. What you need to understand: The Treatment Path outperformed the Control Path by 2,379% in terms of the number of leads captured. So once again, adding email capture to the article teaser page significantly increased the number of leads generated, even though the click-through rate to the offer page had declined sharply due to the increased Friction and Anxiety. Will a recovery email campaign using those leads increase the effective free trial Conversion Rate? We sent out two emails. The first was sent 1 hour after the incomplete free-trial sign-up process; the second was sent 24 hours later. In our recent clinic on Lead Generation we reviewed a case study in which an email campaign increased conversion for a financial newsletter service by 56%. When sending basket-recovery emails we have consistently achieved the best results by using short paragraphs written in a very customer service-oriented and helpful tone free from sales hype. The 24-hour version of the email steps up the level of urgency by specifying that “This is our last attempt to contact you” in the first sentence and “if you do not respond to this email, we will remove your information. . . . and you may miss out. . . .” in the postscript text. The Treatment’s recovery emails had almost no impact on the free trial Conversion rate. In fact, only four free trial orders were recovered using the email campaign. Follow-on analysis is underway to determine why the basket recovery campaign results fell short of the expected range of likely outcomes, and further testing may be conducted. Which article page will result in more conversions to free trial sign-up? Did adding email capture to our Call-to-Action hurt direct Conversion? What you need to understand: The Treatment path overall Conversion rate from article page to confirmation outperformed the Control Path by 15%. The step-level Conversion rate from offer page to confirmation was 150% higher for the Treatment Path than for the Control path. Step-level Conversion rate is essentially the Conversion from one step or stage in the sale process to a specific subsequent step rather than from arrival to confirmation page. We did observe that visitors who clicked through to the Treatment offer page were twice as likely to sign up for the free trial. Remember: Adding email capture to the Treatment article page increased Friction and Anxiety and decreased the CTR to the Offer page in Finding #1. Why did Conversion to the free trial increase? Did automatically loading the email address on the offer page make a difference? Determine the information you need to capture for each customer. Determine the minimum information you need to capture “up-front” in order to minimize Friction and Anxiety and optimize Conversion. Ask for additional information no earlier in the sale process than you need it in order to accomplish your primary objective. Test groups or “clusters” of changes, such as email capture location and Call-to-Action design that may be combined to achieve gains that neither might produce alone. Test different designs and experiment with the timing for basket-recovery email campaigns.